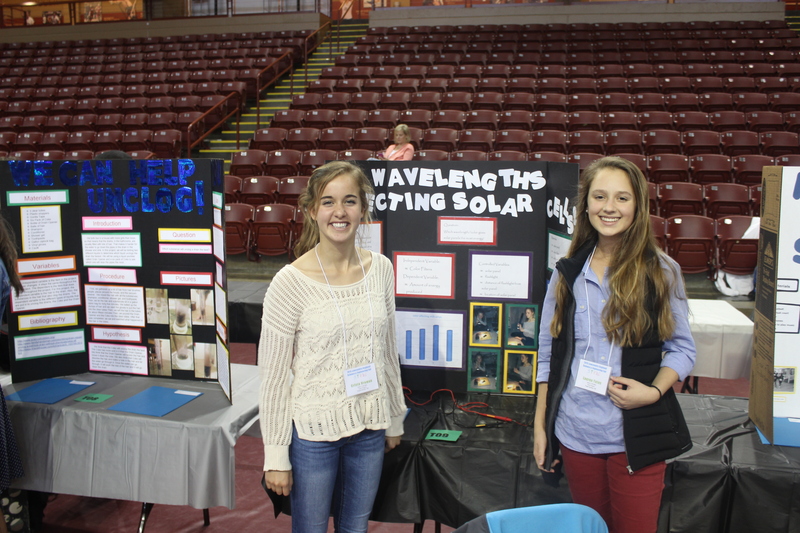 The 2015 Lowcountry Regional Science and Engineering Fair was held Tuesday, March 24, 2015 at the College of Charleston TD Arena. Over 120 students participated showing off their wonderful projects in science, engineering and math. 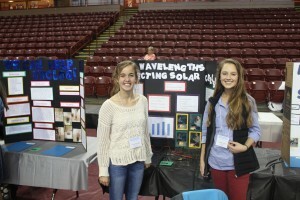 Congratulations to all of our winners, this list of which can be accessed at http://lhsm.cofc.edu/lowcountry-science-fair/index.php. 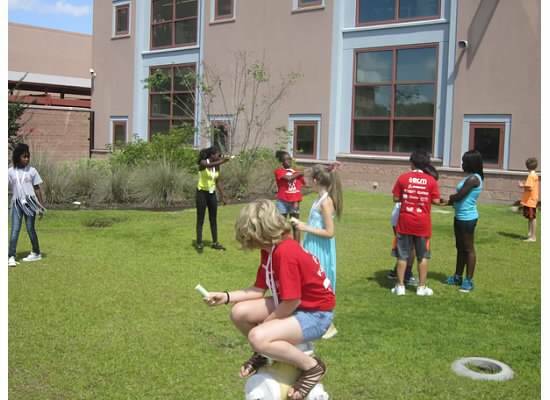 Lowcountry Hall of Science and Math is partnering with Engaging Creative Minds, Chucktown Squash, and the Department of Health and Human and Performance to offer a Summer STEAM Institute for students in grades 3-8 at the College of Charleston. All of the information is below including how to register, but if you have any questions, you can contact me via email. Hope to see you this summer! Summer STEAM Institute is designed for creative and energetic students in grades 3-8 who want to spend their summer engaged in unique learning experiences that foster creativity and problem solving alongside local artists, cultural organizations, and professionals in the fields of Science, Technology, Engineering, Art and Mathematics. No experience necessary! Register for any or all of the individual week sessions running weekdays from June 15th – July 24th. Themes change each week so no two weeks are the same. June 15-19 So You Think You Can Fly? Force, Motion, and Superheroes with Annex Dance Company, musician Tom Noren using Garage Band, Charleston Stage, and visual sculptures with Deborah Meyer. June 22-26 Go Green with Team STEAM! Environmental Science with Annex Dance Company, jazz musician Ann Caldwell, Storytree Theater, and visual artists Art Buzz Kids. June 29-July 3 Outta this world! Blast off STEAM! Planetary Science with dance artist from the Charleston Performing Arts Center, world music musician William DeHaro Kinard, Charleston Stage, and visual artist Meg Mims with Heal with Hearts. July 6-July 10 Junior Engineers: Dream, Design, and Build! Engineering with dance artist Addy Gant from Heal with Hearts, music with Charleston Performing Arts Center, Storytree Theater, and move-able art with visual artist Kathleen Fox. July 13-July 17 Rhythm, Robots and RAM! Computer Science with dance artist Erin Leigh, musician Tom Noren using Garage Band, Charleston Stage, and puppet maker Becky Becker. July 20-July 24 Potions in Motion! Chemistry with dance artist Georgia Haygood, musician TBA, Charleston Stage, and visual artist Kristy Bishop. Summer STEAM is located at the College of Charleston. Camp hours are 8:30-4:00 with extended day option and breakfast, lunch and healthy snacks included in the price each day. Cost is $200 per week for individual weeks or $175 per week if registering for 3 or more weeks. 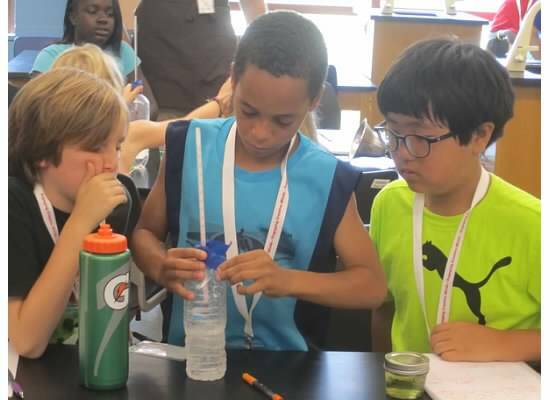 At Summer STEAM, campers will study with at least 4 different ECM arts and cultural partners each week, as well as a number of STEM professionals. Students are grouped age appropriately with an 8:1 student to certified teacher ratio. Fridays are dedicated to Think Tank Challenges in which community professionals engage students in solving real world problems. For more information or to register, visit https://engagingcreativeminds.org/steam-2015/ or call at 843.789.0450.